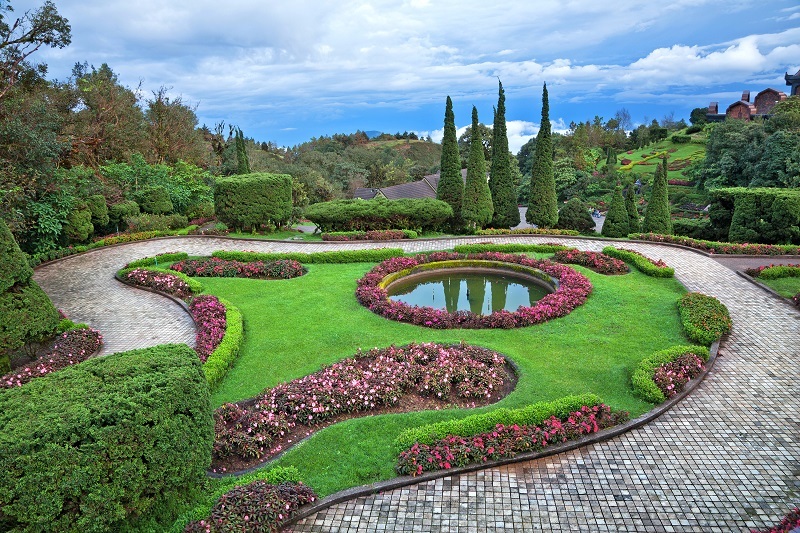 What Are Hardscaping And Softscaping When It Comes To Landscape Designing? 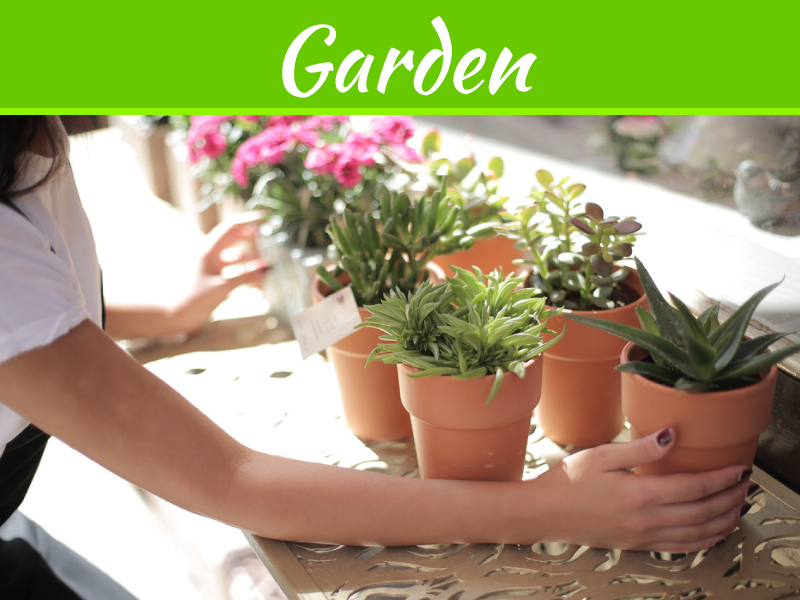 Landscape designing is the latest trend when it comes to interior designing. 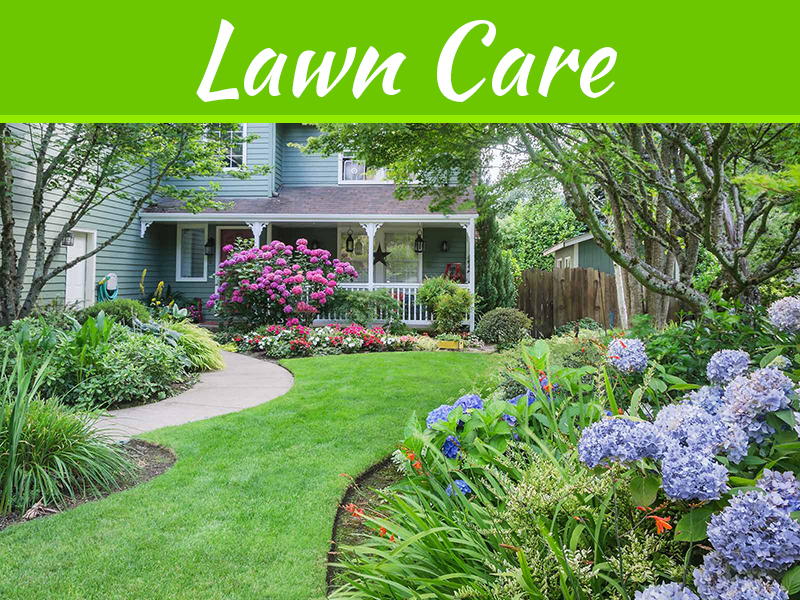 Who doesn’t like a lawn, trees, bushes, flowers and birds? But not everyone may be lucky enough to have it all come together with a balanced design. Hence, the concept of landscape designing comes into the picture. 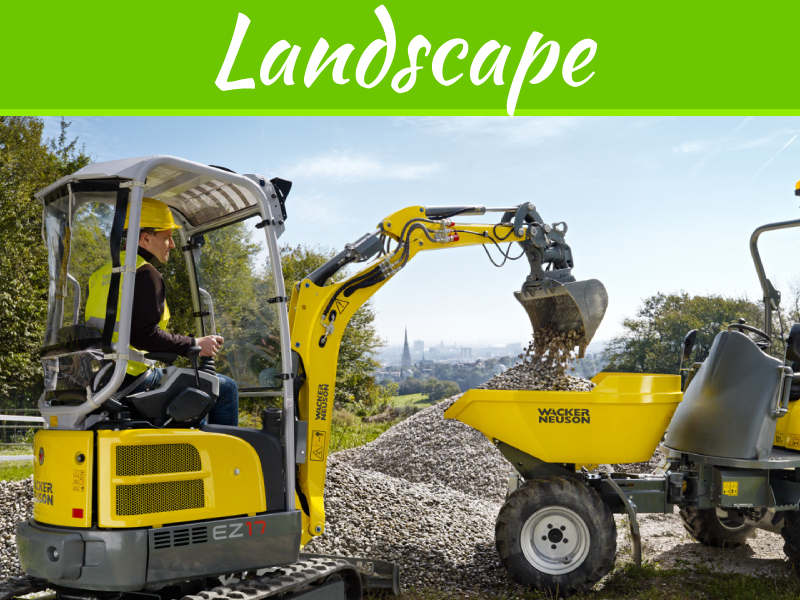 There are numerous landscape designing companies that will design your homes the way you want with hardscaping and softscaping. Now, you must be wondering what is hardscape and softscape. Well, they both are opposite concept, yet very necessary for a perfect landscape gardening. 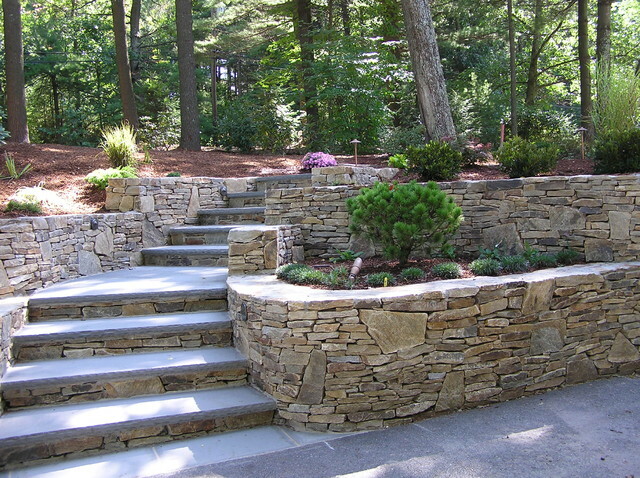 The combination of hardscape and softscape makes the garden or patio look perfect. Hardscape is the combination of bricks, concrete and stone while softscape is a combination of perennial flowers, shrubs, succulents and trees. Basically, softscape is living things while hardscape is the inanimate structures. You must have seen in the movies with a small fountain or a little pool paved with the cobbled stoned path in the middle of the garden. It is the perfect example of hardscaping and softscaping. In hotels too, they have circular paved pathways for the car lovers with gardens surrounding it. It looks visually appealing and superior. If a home does not have hardscape design incorporated, it looks like a jungle. 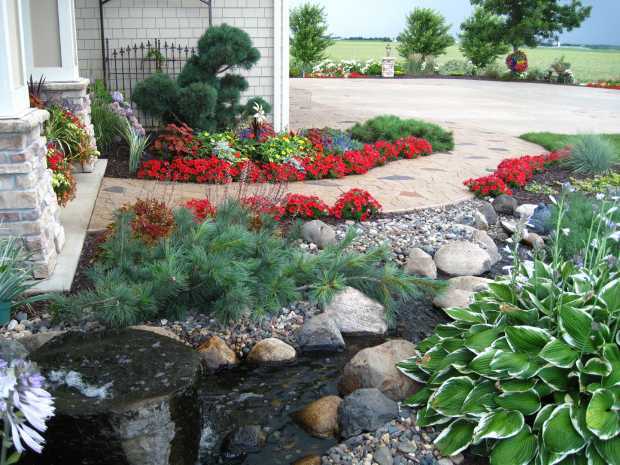 Basically, an overabundance of hardscape in the backyard does not create a relaxing, paradise-like atmosphere while on the other hand, going overboard with softscape can get out of control and begs to be pruned and weeded every now and then. 1. Hardscape can be hard yet they are movable until and unless it is a well made up of bricks. Even that can be moved. They can also be full of gravel, stones and concrete and cement as well. 2. They are inanimate objects and are solid and unchanging. 3. A few examples of hardscapes are retaining walls, pavers for paths or patios, outdoor kitchens, gazebos, decks, and driveways. 4. It can be natural like a simple small or large stone or it can be man-made like a tiny round pool in the middle of the garden. 5. One of the examples of hardscape is a Pavement, which prevents water from soaking into the soil, can increase the runoff and carry contaminants into streams. Porous materials allow water to soak into the soil. 6. All the living components make up a softscape such as bush, shrubs, trees, ground covers, flowers, etc. It is considered as soft horticulture. 7. The soft landscapes need constant attention because they grow every day. They need to be maintained properly. Trimming and grooming are required every now and then. 8. They are softer in touch, quite literally. The touch of leaves and grass is softer. 9. A brick wall is not a softscape. The hardscape has an architectural quality that requires to be pre-planned and input of the thoughts. Hardscape defines the property and thus, it should be designed to consider property grades, its flow, functions and how it improves the outdoor living. 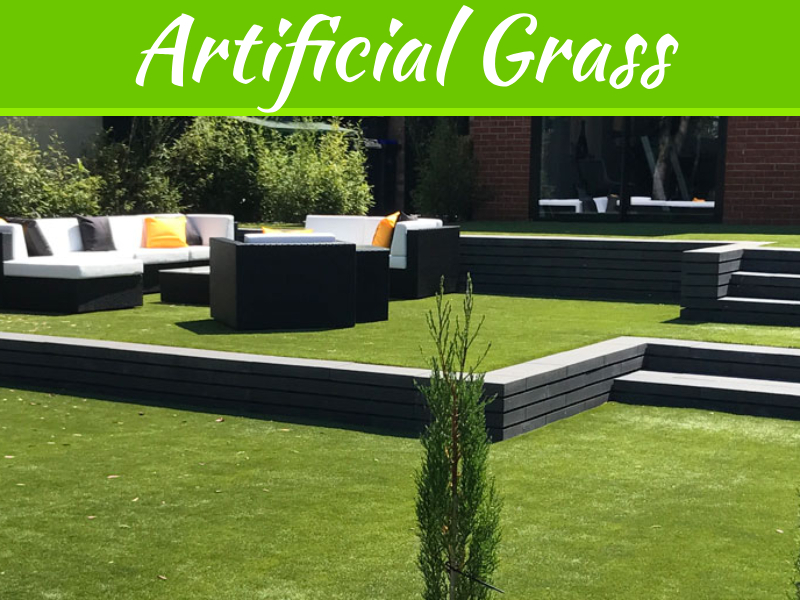 Thus, the perfect combination of the subtlety of hardscaping and rawness of softscaping makes the perfect garden, choosing the wise landscape designing company makes that experience even better. Thus, you must contact a reliable and skilled jaymoorelandscaping.com. It is one of the most trusted names in landscape designing companies. Contact them and have your garden redesigned with perfect balance.